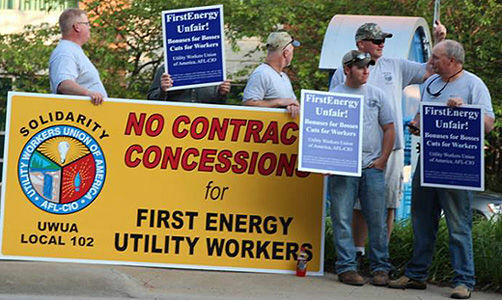 ALTOONA, Pa. (PAI) – Approximately 400 unionists and their allies rallied Feb. 1 in Altoona, Pa., to back the cause of 140 Utility Workers whom Penelec, a Pennsylvania utility that First Energy Corp. owns, has locked out for nine weeks. The show of support heartened the members of Utility Workers Local 102, who have manned a constant picket line, defying both Penelec and subzero temperatures, since Nov. 25. Penelec locked out the workers in Altoona, Huntingdon, Lewiston and Shippensburg after they voted down its “last, best and final” contract offer because it trashed their pension plan – replacing it with a 401(k) – and ended retiree health care. 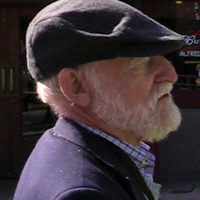 Both sides said there was no movement in the last bargaining session, on Jan. 14. Support came from leaders of AFSCME Council 83, SEIU Healthcare Pennsylvania, the Pennsylvania Fire Fighters and the Altoona Area Education Association.